Mercedes has promised not to treat McLaren as a second-class engine customer in 2014 as they enter the final year of their contract. McLaren will shift to Honda power from 2015 onwards, ending a 19-year engine partnership with Mercedes. 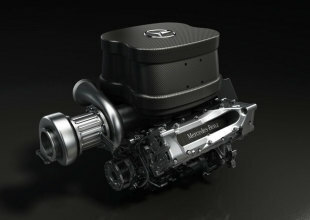 Next season will see the introduction of new V6 turbo engines and Energy Recovery Systems, and there have been suggestions McLaren might not be given be given equal treatment along with the Mercedes works team and the other two customers, Force India and Williams. However, Mercedes executive director Toto Wolff has denied McLaren will be treated any differently. "McLaren is a customer and we have long history with McLaren, so we will do everything to support them from Mercedes' point of view," he said. "We are in modern times so there is no such thing as different specs [of engine] and different specs are not allowed by the regulations anyway. The support of Mercedes is there [for McLaren] as it is for anybody else." McLaren managing director Jonathan Neale is confident his team will receive equal hardware to the other Mercede-supplied teams, but said it is understandable if they are phased out of future plans for the engine. "I've worked with Mercedes for a long time and I know the team up there [in Brixworth]," he said. "I think when you have limited engines - the days of six engines in a weekend are long gone - with just five power units for the year, it means that in order to get a high-quality part, everything coming down the production line has to be the same. They can't have an 'A' model, a 'B' model and a 'C' model. "Now, do I think in a glimmer of a dyno somewhere that the one that's a little bit better might go in one direction? I think so, but it's going to be in the noise. Parity is something that will give Mercedes-Benz the quality and brand reputation that they want, so I don't fear that at all. "In terms of the service that we are getting, then clearly they are not going to reveal as much of the internal workings of what is going on. But I've no worries about the quality of team we have in the garage or the support from Brixworth."